Summer 2015 was supposed to see the follow-up excavations of Bononia, which is said to be the largest Roman fortress on the Lower Danube (on the so called Limes Moesiae, the Danube Limes), the frontier Lower Danube region of the Roman Empire which was designed to stop barbarian attacks from the north and east). The archaeologists from Vidin and the National Institute and Museum of Archaeology of the Bulgarian Academy of Sciences in Sofia were supposed to excavate further tower No. 8 of the Roman fortress Bononia, archaeologist Olya Milanova from the Regional Museum of History in the northwestern city of Vidin has told Radio Focus Vidin. In 2014, lead archaeologist Assoc. Prof. Dr. Zdravko Dimitrov from the National Institute and Museum of Archaeology excavated the huge Roman fortress tower known as tower No. 8, which has a diameter of 30 meters. “Last summer, we couldn’t carry out emergency conservation, and now everything is falling apart. This is the problem – whatever gets done, there must be emergency conservation because the fall comes right after the excavations, the terrains grow over with grass, it starts raining, and everything that is left in the open starts to get damaged," says Milanova with respect to the archaeological excavations of the Roman fortress Bononia. She reminds that while the Bulgarian Ministry of Culture has allocated zero funding for the excavations of the fortress in Vidin, it has also decided to provide a negligible sum of money – only BGN 12,000 (app. EUR 6,100) – for the 2015 summer excavations of the other major Roman site in the Vidin District, Colonia Ulpia Traiana Ratiaria, a huge Roman colony located in the Danube town of Archar, Dimivo Municipality. The meager government funding for the excavations of Ratiaria recently led archaeologist Zdravko Dimitrov to exclaim that soon there might be “no point in dealing with Ratiaria" as the institutional neglect of the archaeological site has been coupled with its constant destruction by looting treasure hunters in the past 20 years. Milanova says the BGN 12,000 allocated for Ratiaria will be used for some excavations and emergency conservations but reminds that a fresh treasure hunting raid was registered there recently. “The problem there lies with the [lack of] security – the money goes to waste. There must be security with CCTV cameras. Without that, everything is pointless," she concludes regarding the treasure hunting plight of Ratiaria, once one of the largest Roman cities outside of the Italian Peninsula. When the Slavs settled in the region of today’s Northwest Bulgaria in the Early Middle Ages, they called the city Budin or Bdin. 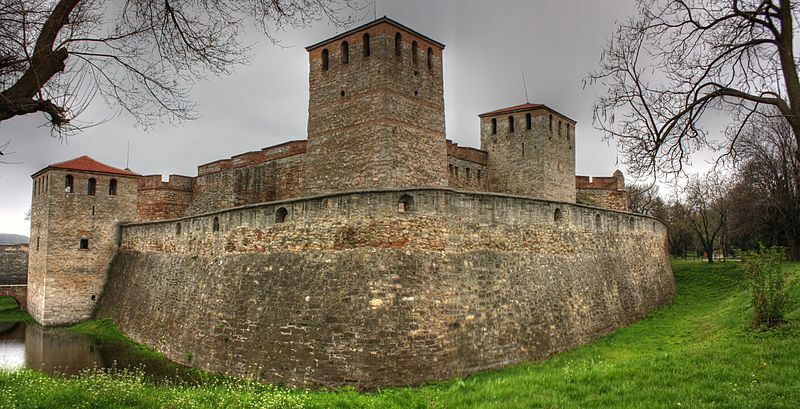 The medieval Bulgarian fortress, or castle, to be more precise, known as Baba Vida was built in the 10th century AD, during the First Bulgarian Empire (632/680-1018 AD), on top of the foundations of the Roman fortress Bononia. The Baba Vida Castle is said to be the best preserved medieval Bulgarian fortress since the numerous other Bulgarian fortresses were destroyed by the invading Ottoman Turks at the end of the 14th century AD (the Ottoman Turks called Baba Vida a “virgin" fortress because it was not taken by them by force). The Baba Vida Castle (Fortress) surviving today was the inner and most fortified part of the medieval city of Bdin (Vidin), and was in fact used as the castle of the local feudal lord; remains of the city’s outer fortress wall have been revealed in Vidin’s quarter Kaleto (“kale" is the Turkish word meaning “fortress” used to denote many fortresses across Bulgaria). The Baba Vida Castle has an area of 5 decares (app. 1.25 acres), and consists of two concentric rectangular walls with 4 fortress towers, which used to be surrounded by a water moat (which still fills up with water today when the level of the Danube rises), and had a drawbridge (which is today replaced with a stone bridge). It lies on top of the remains of a large fortress tower in the northeastern section of the Roman fortress Bononia.